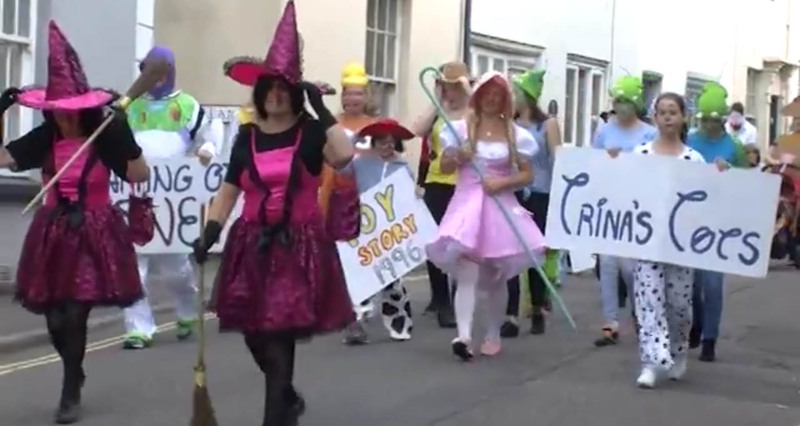 This year’s carnival was blessed by good weather and featured a record number of walking entries as the procession wound its way through Axbridge’s narrow streets. Note the Blackberry Fair in the Square – an unusual aspect of the event which adds colour and sound to the day. Follow Harry on Twitter, Harry the Spiv Facebook and God knows where else!